It is better to share your concerns with your parents. If you can talk it over with them, you can motivate them to go to their doctor. Having a talk with your parents may also encourage them to make appropriate changes in their lifestyle when needed. There is no way to know what health problems a senior is suffering from without a medical checkup. It is also difficult to maintain good health without a doctor’s advice. That is why it is important to encourage the senior parent to go for a medical checkup on a regular basis. Don’t hesitate to talk to the doctor yourself if the senior parent brushes off your concerns about their health. By sharing what you know with the doctor, the latter can provide guidance on what to do. Especially at home, it is recommended to address all safety issues as soon as possible. You can do it yourself or have your parents take note of them. These safety issues include preventing falls and crashes. Poor lighting, window alarms, and many others should be checked as well. A senior parent may not be as efficient as when they were younger when working on chores around the house. Moreover, they may get easily tired with just a few tasks. Thus, it is better to hire a caregiver for them. The caregiver can not only be assigned to handle the senior’s daily living activities; they can also clean the house or run errands in behalf of the senior. 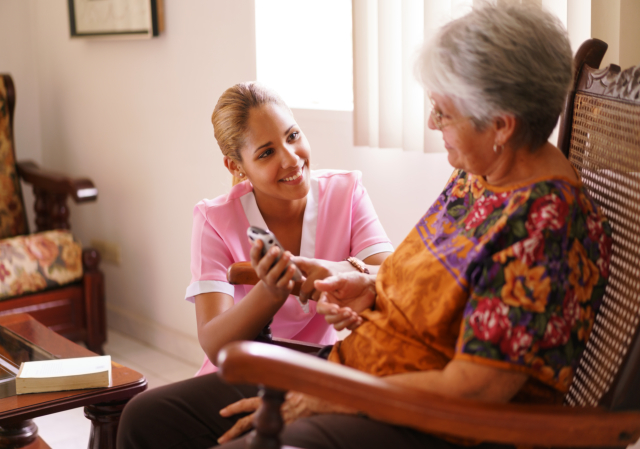 Home care services are not costly and can be covered by insurance, so there should be no problem. There should be lots of resources or organizations around your parent’s area that can provide you with your much needed help. These non-profit organizations may or may not be set up by the Administration of Aging. Research about the organization or resource first before you seek help from them. These easy-to-do tips can definitely be of help to you when you want to take good care of your parents. Even when you are living away from them, you can still carry out these tips. Lowenhill Home Care Services can also help you out in caring for the senior.